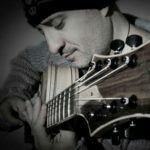 John will present a simple hands-on explanation of melodic minor applications over all chord qualities (major, dominant, minor, half diminished, diminished) and easy ways to apply them immediately in soloing. Applications of these substitutions will get new colors and sounds into your playing and help you think outside of the box. As a new player running for 11 years now this was truly a treat, John really opend my eyes for the path to finding a voice within the sounds in terms of just giving you soo many options. I can truly say that this video changed my life for the better hehe, the swedish otherwise cold and dark winter will be as bright as ever, and i haven’t even made it to the end yet, who knows what’s next! super lesson and i also strongly recommend listening to his recordings! Stellar, the stuff of legend. Thanks an awful lot for putting this up! this man is worth his weight in gold! The first jazz I ever listened to was John Coltrane, in 1975. Since then I have collected a couple hundred guitar books and dozens of instructional videos. About 20 years ago Emily Remler’s and Larry Coryell’s Hot Licks tapes opened the door for me. Now comes John Stowell with the most concise, well-organized and powerful presentation of modern jazz sounds,and how to use them, in my experience. In this 90 mins. he really gives you the keys to the kingdom. I have typed outlines and flow charts based on this lesson. It is a lifetime of musical discovery presented to you for less than the cost of a tank of gas. I will spend the rest of mine dealing with it. Thank you, John, from the bottom of my heart.